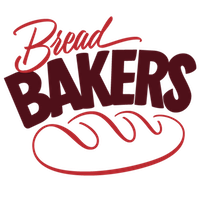 After a long break, I am baking along with the #Breadbakers. This month is being hosted by Mireille - a dear friend and a versatile cook blogging at who can whip up stuff ranging from a traditional South Indian Pal Payasam (Milk Rice Pudding) to a Mexican Enchilada and pretty much everything in between. For this month's theme, she has asked us to make naturally coloured breads. Proof the yeast in a mixture of warm water + sugar and stir till sugar dissolves. Let it stand for 15 mins undisturbed till yeast blooms. 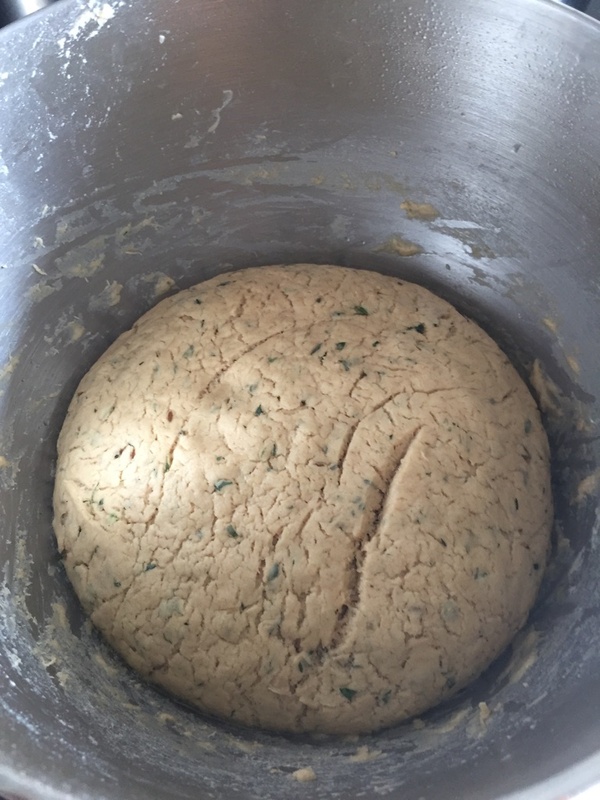 In a stand mixer, add the flours, gluten, proofed yeast, salt, spices, cumin, coriander leaves, oil, chilli flakes, mix well. Mix to a shaggy dough with a wooden / blunt spoon and let it sit covered for 10 mins (this helps gluten formation). Now knead till a smooth and non-sticky dough develop - about 10/12 minutes by hand or 8-10 mins in a stand mixer. Grease the bowl of a stand mixer and place the dough in it. Once risen , punch it down slightly and shape into loaves and place on greased baking tray. Cover again for rising slightly. Towards the end of the 2nd rise, preheat oven to 190 C. Make slightly deep slits with a sharp serrated knife on the risen loaves. Bake for 22-24 mins or till they sound hollow. Let them cool. Love those green flakes in the crumb, Kalyani! 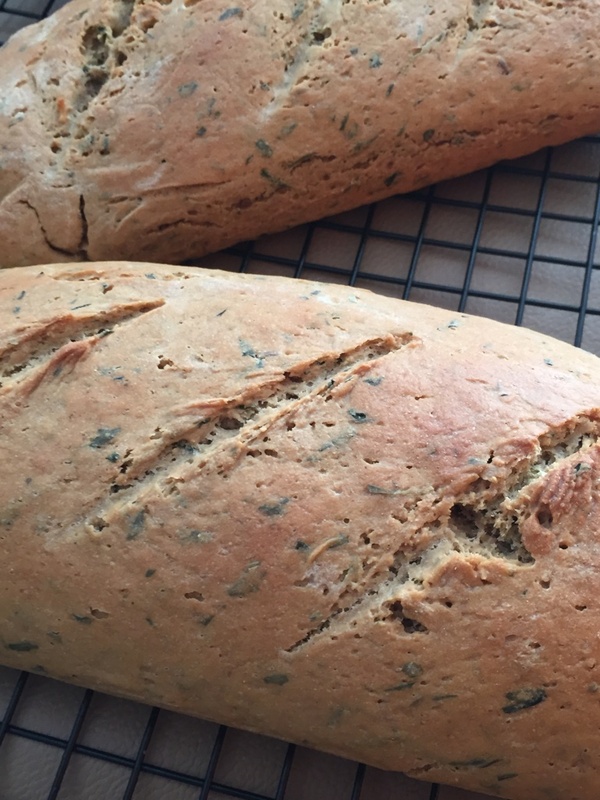 Bet your lovely loaves smelled divine as they baked! These loaves sound wonderful! I love the dimensions in the slices! 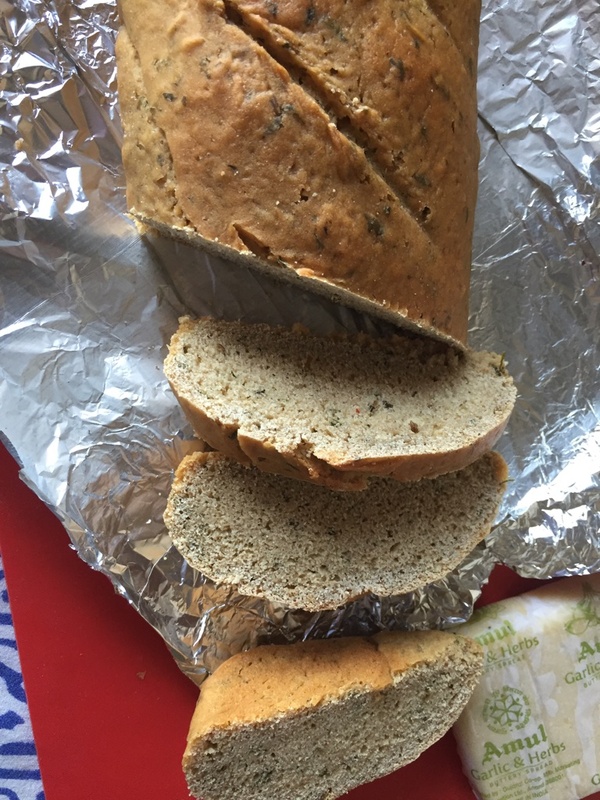 What a pretty looking loaves Kalyani. Love the addition of cilantro and cumin seeds - must have added so much flavor to the bread. Lovely coriander and cumin loaves, get the feeling I can smell the cumin. 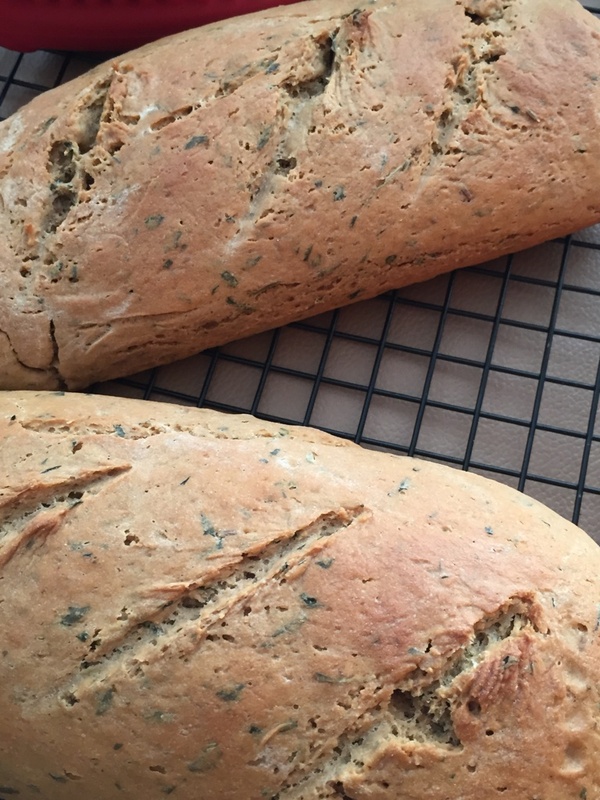 I love baking such savory breads to go with a soup. What a lovely Bake. I love baking such rustic healthy breads.